GREG the koala would not have survived past his nine-month birthday if it were not for a local wildlife rehabilitation centre. The koala is in rehabilitative care at Australian Animal Care and Education at Safe Haven. He is the second koala to call the Mt Larcom facility home in the past 20 months. For the next eight to nine months, volunteers and caretakers at the centre will bottle-feed the nine-month-old koala, and teach him how to eat leaves. Now weighing 1.7kg, the average weight for his age, AACE Safe Haven project manager Tina Janssen said he was progressing well. She said they retrieved Greg from Nebo, a small town 100km south-west of Mackay. He was found dehydrated and had been without feed for days. "His mum was killed at Nebo when she was run over by a car," Tina said. "He was only a little bloke, 700 grams, what we call a back young, gone from permanent pouch on to his mum's back," she said. The koala's odd name comes from the centre's vet, the first call made when the young animal was picked up. An important factor of rehabilitating a native animal is to not humanise them. Greg is never handled by any of the volunteers - rather held by a soft teddy wrapped in a small blanket. "You can't humanise them because you're not doing them any favours in the long run. We need to make sure he is releasable," Ms Janssen said. "I handle him on a teddy bear... so I don't have human contact with him." Ms Janssen said a native wildlife rehabilitation centre was vital for the central Queensland region. Alternatively, koalas like Greg would be taken to Brisbane. "It's delaying any sort of treatment (taking them to Brisbane). "Usually koalas come in due to trauma. We flew one down about three weeks ago, but it was dead on arrival. "It's inhumane and, really, our regional koalas need to stay regional. They can't keep going down to the south-east and never coming back. The centre will continue to improve its current enclosure for koalas. It can hold two koalas at once, but the animals must be compatible. Ms Janssen said they would care for koalas from north Mackay, out west to Alpha and north to Gin Gin. Greg will be released when he is healthy and able to feed independently. VEHICLES are a common cause of death for native koalas across Queensland. But koalas are particularly at risk at this time of year because they become more active during their breeding season and are more likely to be out on the road. Road deaths, combined with coastal, agriculture and mining development, have already greatly decreased the number of koalas in our region. 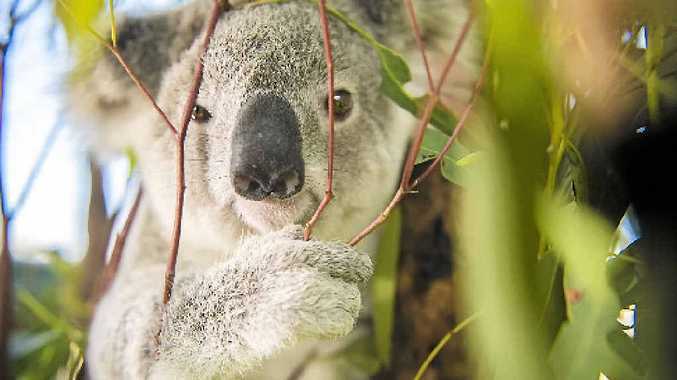 CQUniversity adjunct researcher Dr Alistair Melzer said the koala population was sparse in Central Queensland, but there was a widespread population doing well in the ranges south of St Lawrence. "Heatwaves and droughts the last couple of years have had a big impact (on koala populations) too," Dr Melzer said. 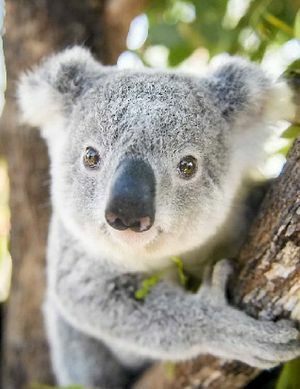 He said koalas were now in their breeding season, which meant they became more active and spent more time on the ground. "During breeding season you get an increase in the number of deaths from cars and domestic dogs. "People need to be really careful," he said. Dr Melzer said there was a need for a koala rehabilitation and care centre in Central Queensland and he was pleased the AACE Safe Haven was up and running at Mt Larcom. "We need to have a place where koalas can be taken into care and released back into the wild close to where they were originally," Dr Melzer said. AACE Safe Haven is always looking for volunteers to help build facilities and donations. The facility provides a safe haven for koalas, kangaroos and black striped wallabies, and has a breeding and research program for bridled nail tails, wombats, gliders, snakes and lizards.